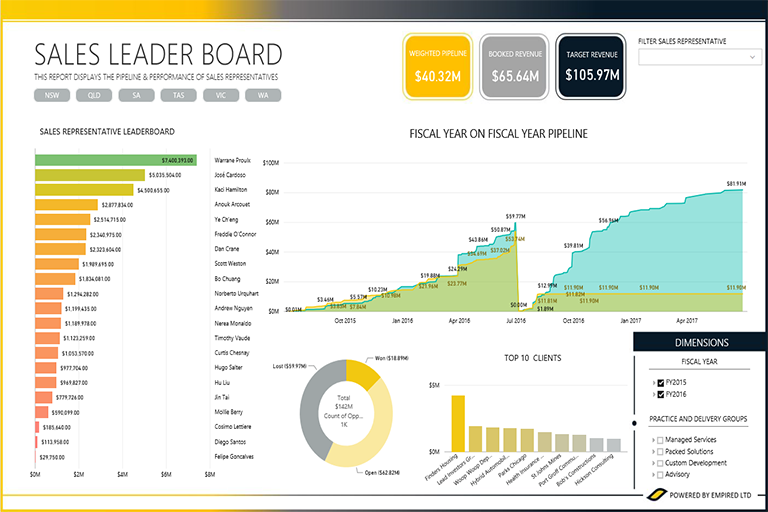 Analytics on Microsoft CRM that show how your sales team is tracking now and providing insights on where you need to focus to exceed your targets. We have found some correlation between the last time sales representatives update a CRM record and an opportunity either being lost or pushed out. What is your history with your clients? 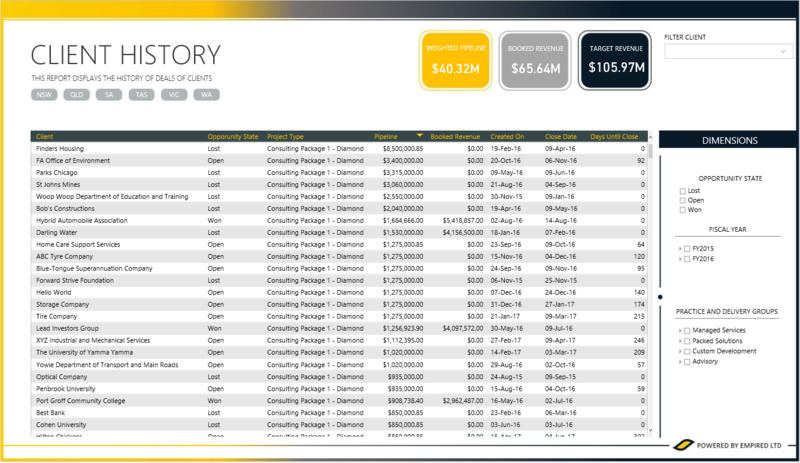 A filtered dashboard of Client history of won, lost and open deals can get sales professionals up to date in a fast and intuitive way and help qualify which opportunities you should go for. What sales are at risk? What deals are likely to close this month/ quarter? 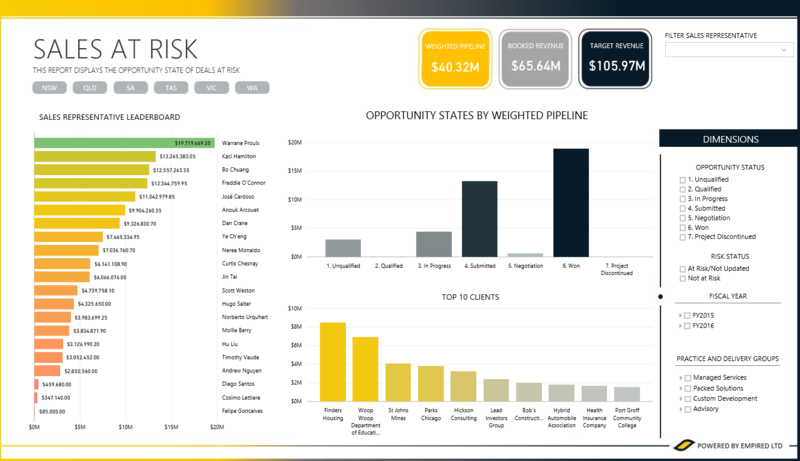 Which deals are in CRM as closing in that period but aren’t going to happen? No matter how many times you ask the team to update CRM, you have got no chance of them keeping it accurate. You just need to know what is likely to close. If you can find the sales that are could be delayed because of one or both things, then you can intervene by either re-qualifying the opportunity, or changing the game.